For over sixty years Alice Heron Maxwell worked tirelessly to preserve The Elms and its contents, a place that has become a true treasure and historical icon of Tauranga. She was also a signatory to the 1893 Women's Suffrage Petition. Story by Debbie McCauley. Euphemia Ballingall Maxwell(1853-1860). MAXWELL.—On the 16th inst., at the residence of Donald McKenzie, Esq., Mount Pleasant, Upper Goulburn, of diphtheria, Euphemia Ballingall Johnston, eldest daughter of the Rev. Andrew Maxwell, Kilmore (The Argus, 24 April 1860, p. 4). Andrew James Maxwell (1855-1930). Born in Kilmore, Victoria, Australia. Died in Nelson, New Zealand. Morrice Finch Maxwell (1857-1858). Born and died in Kilmore, Victoria, Australia. Edith Jane Maxwell (1859-1930). Born in Kilmore, Victoria, Australia. Buried in Mission Cemetery, Tauranga, New Zealand. Ebenezer Maxwell (1862-1937). Born in Kilmore, Victoria, Australia. Buried in Mission Cemetery, Tauranga, New Zealand. Alexander Johnston Maxwell (1864-1865). Born and died in Kilmore, Victoria, Australia. Andrew died in Kilmore in 1865 at age 44. Six months later Euphemia moved with her children to Wellington in New Zealand where her brother, Supreme Court judge Alexander James Johnston, was based. Euphemia’s sister Christina had married widowed missionary Alfred Nesbit Brown while he was visiting Wellington in 1860. They lived at Te Papa Mission Station. Young Alice spent holidays with Brown and Christina in Tauranga where she learnt much about the history of the area. In 1873 Brown and Christina purchased 6.8 hectares of mission land and the Mission House, renaming it The Elms after some trees growing on the property which were later cut down. Brown died in 1884, followed by Christina in 1887. Brown’s son had died in 1844 at age 14. His daughter Celia had married, but had no children of her own. The property was left to Alice as a life tenant on the condition that her mother Euphemia and sister Edith move from Wellington to The Elms with her. The family moved to Tauranga in October 1887 and from then onwards Alice and Edith worked to preserve The Elms. They maintained the property and introduced palms and natives plants to the garden along with many flower species. They also preserved the house and its contents, and conducted visitors through the home. Neither Alice nor her sister Edith married. It is thought that they were discouraged to do so by their mother. Alice was a signatory to the Women’s Suffrage Petition presented to Parliament in 1893 (Sheet No. 398) which led to the Electoral Act and New Zealand becoming the first self-governing country in the world to grant women the right to vote. She was surely one of more than 90,000 women who voted for the first time on 28 November 1893. In 1913 some of the land was subdivided and sold for housing so that repairs on The Elms could be carried out. The family finally had inside plumbing and an inside kitchen. During World War I Alice and Edith sold flowers from The Elms gardens to raise funds for soldiers. They continued right up until the Influenza Pandemic which started in November 1918. Euphemia died in 1919 after being bedridden and cared for by her daughters. When Edith died in April 1930, Alice carried on her work at The Elms alone. 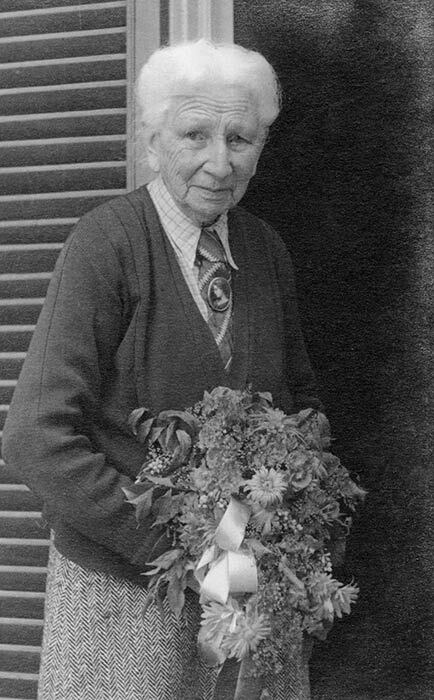 Alice died on 24 July 1949, having spent 62 years working tirelessly to preserve The Elms. She left The Elms to her nephew Duff Heron Maxwell and his wife Gertrude who moved up from Taranaki to carry on her work. Alice was buried in Tauranga Mission Cemetery. Bradney, Williams (1942). Memories of a mission house: a series of interviews with Miss Alice Maxwell, the Elms, Tauranga. Bush, Ernest Edward (1982). Biographical Sketches of The Centennial Mural. Kean, Fiona (2014). From Tauranga to the Trenches (p. 41). Rorke, Jinty (1996). Alice Heron Maxwell. Retrieved from http://www.TeAra.govt.nz/en/biographies/3m48/maxwell-alice-heron (Dictionary of New Zealand Biography. Te Ara - the Encyclopedia of New Zealand, last updated: 2012). The Argus (24 April 1860, p. 4).